Well, it’s definitely still winter here in the UK…with biting icy winds and overcast days. 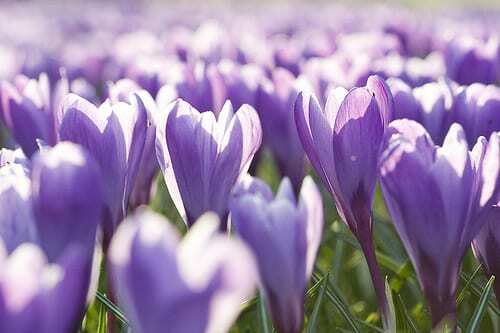 But at least we’re starting to see little purple, yellow and white crocuses being brave enough to bloom! Mainly stay-at-home days…wrote blog posts, edited images, dealt with emails, wrote a magazine article and my guest post for Sarah Raven’s blog. Plus spent time on Twitter, Facebook and Pinterest. On Tuesday evening, my garden designer friend Lisa Cox and I travelled into London to attend a mydeco/made.com event…an ‘SEO (Search Engine Optimisation) for Blogs’ workshop, which was very useful. On Wednesday, I set up a new Flowerona Guest Board on Pinterest (the one on the far right below). The next day, people were starting to pin images of their floral designs onto it…which is so exciting! If you would like to inspire others by sharing your floral designs on the Flowerona Guest Board, simply ask to be added by leaving a message on my Facebook timeline with details of your Pinterest username. On Friday, I wasn’t feeling tip-top as I’d come down with a lovely cold. 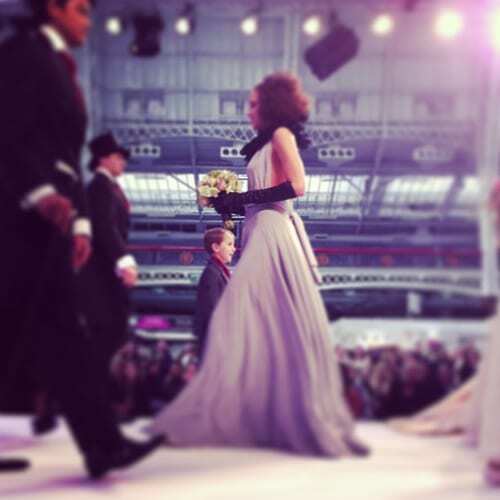 But I wrapped up to brave the elements and travelled into London to visit the National Wedding Show at Olympic in London. …but it was also lovely to meet up with the florists who were exhibiting there, meet some new people and see old acquaintances. I took photos of the florists’ stands and here’s a little peek of a stunning floral arrangement by Jayne Copperwaite. Spoonful…a creative passion-filled little book, with lots of beautiful blooms! The most popular blog post this week was one I wrote in 2011! 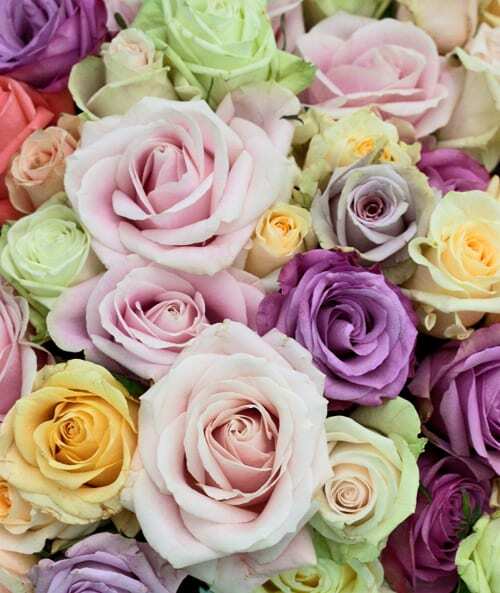 Lisianthus – often mistaken for a rose or peony. 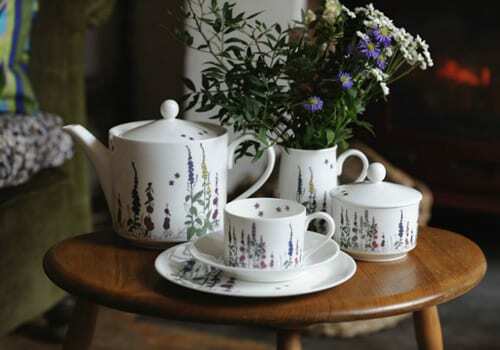 On the Heart Home blog, I featured ‘Floral-inspired tableware by Tea with Bea‘.